Supports a healthy heart, healthy cell production, health of brain, eyes, nervous system, Vitamin D 1000iu per serving enhances calcium absorption, supports bone health and strength, mood, neuromuscular systems,modulates mood and sleep rhythms. 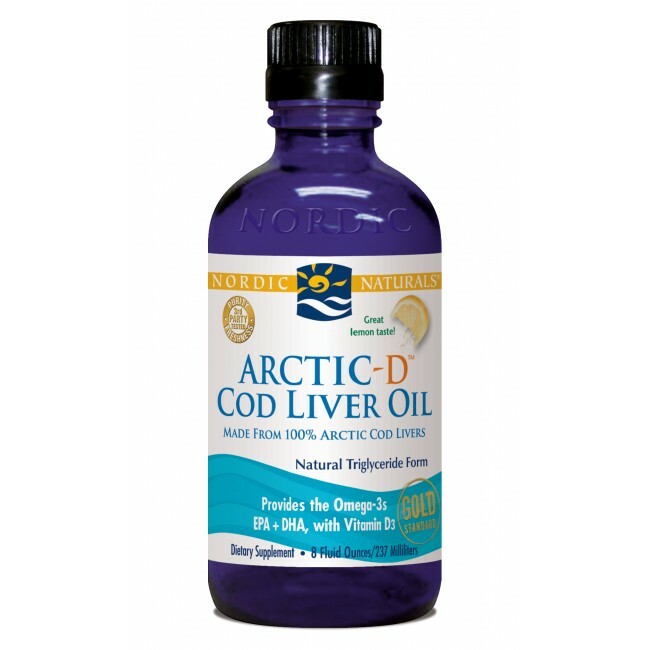 Nordic Naturals Arctic D Cod Liver Oil 8oz supports a healthy heart, healthy cell production, health of brain, eyes and nervous system. It contains added Vitamin D 1000iu per serving! Vitamin D enhances calcium absorption, supports bone health and strength, mood, neuromuscular systems and modulates mood and sleep rhythms. Great to take with the Aloe Life WL Aloe Vera Juice Concentrates to support increased digestion of fats and oils decreasing burping and indigestion.